No doubt you have already done research and are familiar with the statistics about infertility. You know that human beings are ridiculously inefficient reproducers and that many couples have trouble. It may seem that everyone else is pushing a pram but you. Rest assured you are not alone and we will work through the process to give you a healthy baby. Our first step is to find the problem. We have a range of simple, non-invasive tests for both men and women that give us an idea of what’s going on. Often they will show up an obvious issue that we can treat. However, in up to 25% of cases, our tests won’t show us any issues. That doesn’t mean you can’t get pregnant. It may just be a matter of keeping on trying. Or we can talk about using IVF, which is the best treatment for otherwise unexplained infertility as it bypasses a lot of the reproductive steps where problems might be occurring. I see my main job at this stage as helping you make an informed decision about how you want to go forward. I can answer all your questions and explain all the various options. Once we’ve decided on a course of action we’ll get started. If we decide that IVF is the best way to go, you could be starting treatment, and hopefully getting pregnant, within just a few weeks of our first appointment. I am an accredited doctor at Genea (formerly Sydney IVF) and we will have the full resources of this world-leading clinic at our disposal. a way to take control over what has previously been an uncontrollable process. No matter what course of treatment we decide on, I will be there with you every step of the way. I can’t promise you a baby at the end of it, but I can promise that we will do everything we can. And I promise I will listen and treat you with compassion and understanding. It is estimated that 15-20% of pregnancies end in miscarriage. Miscarriage is a sad but normal part of human reproduction. For most women who suffer a pregnancy loss, it is a one-off and they will go on to have successful pregnancies afterwards. Some women, however, have what is called recurrent miscarriage. This means they have had two or more consecutive miscarriages. This can indicate a deeper problem that needs investigating. 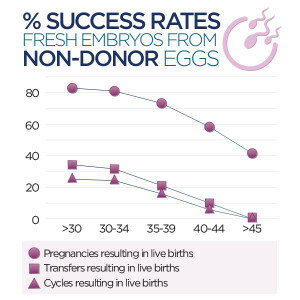 I was Director of Sydney IVF’s (now Genea) Miscarriage Management program for many years and I still treat many recurrent miscarriage patients every year. The most important thing is to find out why your pregnancies are failing. There are in fact many possible causes of recurrent miscarriage. There are also many myths about early pregnancy loss, so let me just assure you that it is almost certainly nothing you have done wrong. I will run a very comprehensive panel of tests – around 40 different in all. Hopefully we will find a problem we can treat and that will let us move forward. Even if we can’t find a cause, what we can do is some very careful monitoring of your next pregnancy. Whatever the outcome, I will be there to support you and help you make good, informed decisions – even when you’re emotional. Approximately 15 to 20% of all pregnancies end in miscarriage. Although miscarriage can happen any time before 20 weeks, most take place in the first twelve weeks of pregnancy. Most miscarriages cannot be prevented; there is rarely anything you could have done to stop it – it is just nature’s way of ending a pregnancy that is not developing as it should. Most women, though, who have miscarried are able to conceive in the future and carry that pregnancy to term. The most common cause for a single miscarriage is a chromosomal abnormality of the fetus which results in the fetus either having either too many or too few chromosomes. In such cases the chromosome content is often incompatible with life and the pregnancy miscarries. It is important to stress that these errors occur randomly and are rarely a cause of recurrent miscarriage, though there is a greater risk of miscarriage with increasing age. If you have experienced 2 or more consecutive miscarriages, you should consider seeking evaluation by a specialist. In about 50% of causes of recurrent miscarriage, an identifiable cause can be found.